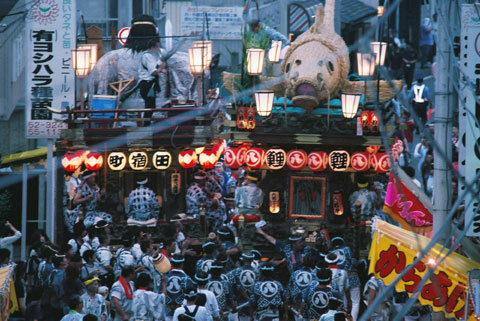 The festival is called one of the Kanto three major float festivals, and has the tradition of about 300 years in "Grand festival of Sawara" summer and autumn festival. 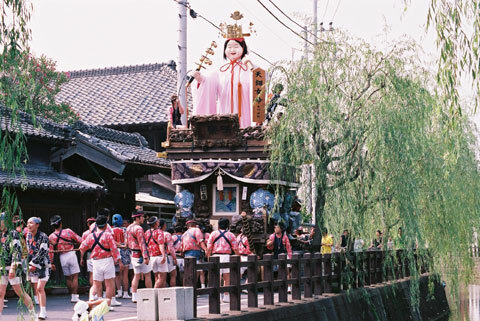 A big doll of 4m in height is put to the float. 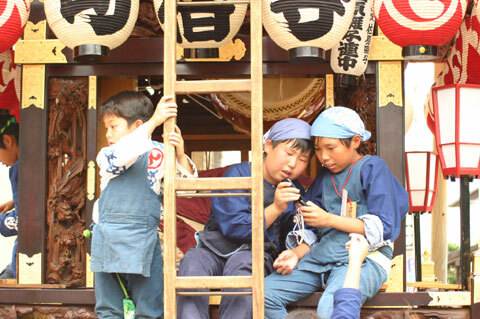 In the summer festival 10 floats are operated on onogawa's east side region. 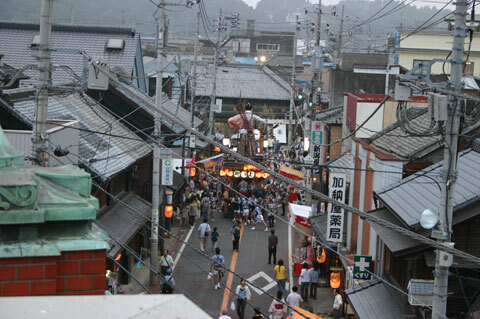 On the other hand, 14 floats are operated in Onogawa's west side region in autumn. 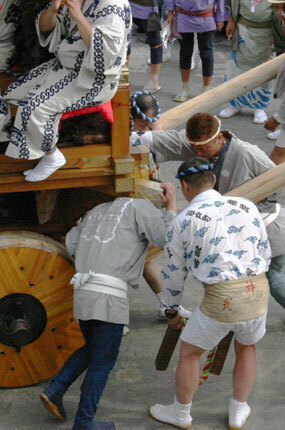 As for the operation of the float are done to the signal by beat sticks that Waka-gashira strikes. Passing each other with a narrow road is a showing place of the skill. Each other is praised in applause. 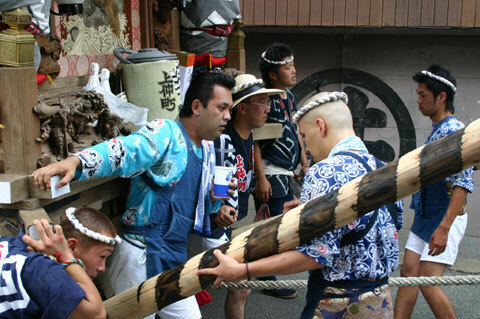 the float finished the duty of three years turn attaches to the tail of the permutation. 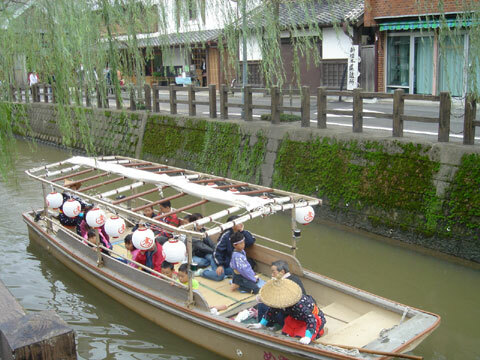 The shuttle boat connects a large parking lot in the river beach in Tone and the festival hall for the festival period. 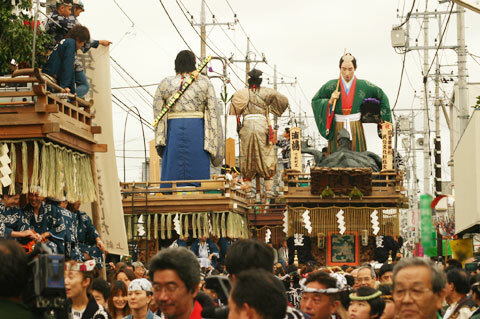 The float seen from the boat is also special. 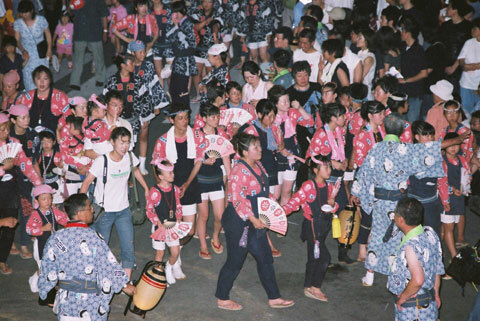 For the festival, everyone is a leading part both the adults and the children. 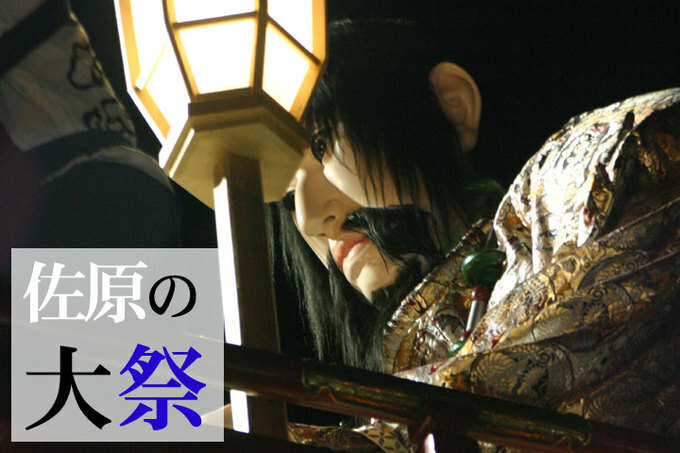 Waka-shu that has Tekobou and manipulates float. When the evening comes, the lantern etc. are prepared. 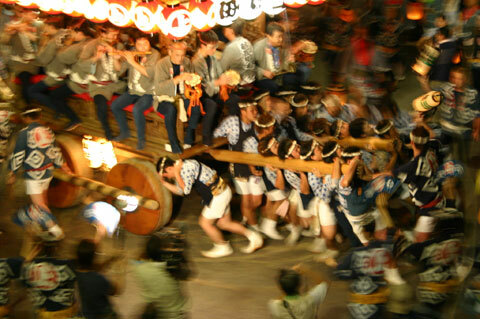 The float is turned by a special way to manipulate. 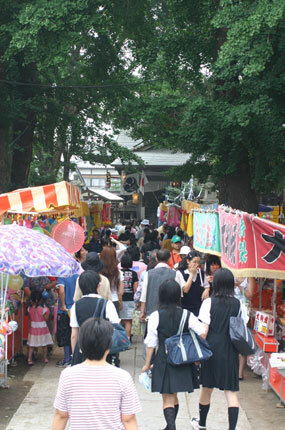 A lot of branch shops line Yasaka Shrine, and it crowds. Please confirm the JR timetable. Keisei bus, from Hamamatsu-cho, or Tokyo-station, by way of Sawara, for Choshi. Getting off at Sawara station north exit, and 20 minutes on foot.